LONDON – The iconic BT Tower in central London suffered technical problems that left a Windows error message on display for days. The landmark is a key part of the London skyline, but people noticed its screen asking for the system to be reset. The error message said: “Choose operating system to start or press TAB to select a tool: (Use arrow keys to highlight your choice and then press ENTER).” INSIDER noted that the message comes from Windows 7. The tower carries telecommunications transmissions from London to the rest of the UK. The info board normally displays messages of good cheer, like: “Good morning London,” or “It’s coming home,” referring to England’s short-lived success in the 2018 FIFA World Cup. 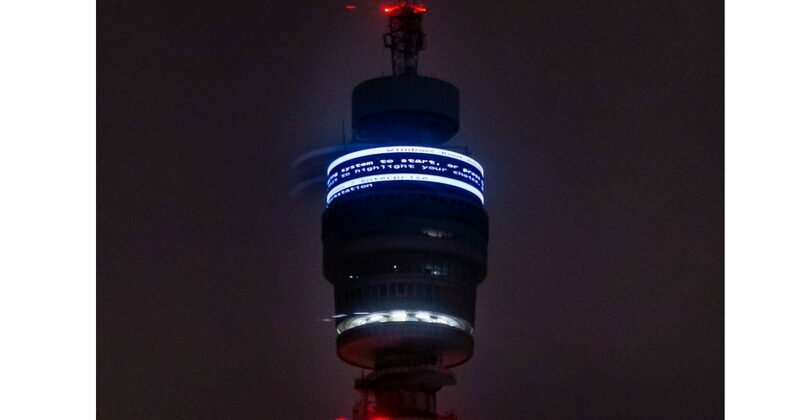 The display was fixed eventually, however, and a BT spokesperson said: “A technical issue caused the info band on the BT Tower to display an error message.” The tower was the tallest building in London from it’s unveiling in 1965, until 1980. I’m sorry but I still laugh my *** off each time I see a story like this.